2-IMMERSE brings together significant industrial players from across the value chain; including rights holders, content creators, producers, technology providers and service providers. Within these organisations we have pulled together a multi-disciplinary team across: computing, networking and broadcast engineering; media production craft and experience design; the creative arts; and social sciences. The BBC is one of the world’s leading creative media organisations with 22,000 employees and a large ecosystem of suppliers, producers and audiences. We are fully committed to research and innovation collaborations to ensure the BBC can provide the most valued, open, digital media services in the world. Together with a rich network of partners we developing ground-breaking solutions to problems in order to deliver against our public purposes and boost the economic growth and reach of the Creative Industries in the UK. • Promote education and learning in support of formal education in schools and colleges and informal knowledge and skills building. The BBC brings a world–leading reputation for quality broadcasting across TV, radio and online. A broadcaster since 1922 its technology and production innovations have shaped broadcasting around the globe. The BBC is committed to making the most of the new broadcast and broadband convergence to bring the quality experiences across all its platforms and genres for all of its audiences. 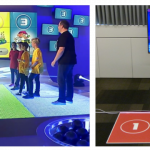 BBC R&D has been working on object-based media, IP broadcasting and the second screens (tablets and wall sized displays) to understand the technology and user experience challenges and will bring the results of this work to the project. BT uses the power of communications to make abetter world. BT is one of the world’s leading communications services companies, serving the needs of customers in the UK and in more than 170 countries worldwide. Its main activities are the provision of fixed-line services, broadband, mobile and TV products and services as well as networked IT services. In the UK, BT is leading communications services provider, selling products and services to consumers, small and medium sized enterprises and the public sector. BT is one of the largest investors in R&D in the UK and the second largest investor in R&D in the telecoms sector in the world. With one of the fastest rollout in the world, BT’s fibre network now passes around three quarters of UK premises; in January 2015, BT announced an ambition to transform the UK broadband landscape from superfast to ultrafast via a widespread deployment of “G.fast” which will enable speeds of up to 1Gbps. BT TV and BT Sport serve its customers’ demand packages of voice, broadband and TV. BT have have around 3 million direct BT Sport customers and the service is in around 5 million homes. BT have invested in rights for UEFA Europa league; UEFA Champions League; Barclays Premier league; The FA Cup (Football); MotoGP Motorcycle racing); amongst others. BT brings some of these content rights (Football and MotoGP) and a relationships with its TV service to the project. Its focus will be on delivering prototypes of new services into its BTTV service. Stichting Centrum voor Wiskunde en Informatica (CWI) is the national research institute for mathematics and computer science of the Dutch National Science Foundation (NWO). CWI performs frontier research in mathematics and computer science and transfers new knowledge in these fields to society in general and trade and industry in particular. Distributed Multimedia Languages and Infrastructures (DIS), is the team from CWI involved in this project. The research lines of DIS are motivated by the continued convergence of digital media production and distribution devices. DIS studies fundamental problems related to social media distribution and modelling, media creation, platform agnostic distribution, QoE, and immersion. Particularly important for 2-IMMERSE is the expertise of the group on video mediated group communication, user experience, and ubiquitous media. During the last couple of years one focus of the group has been on the development and testing of novel technological solutions for supporting distributed consumption of media (e.g., theatre performances). The group is internationally known because of seminal work on social television, secondary screens and media authoring. Illuminations is an innovative media production SME that specialises in performance and the arts. The company’s work has been honoured with BAFTA, International Emmy and Peabody awards. Its productions include television film versions of plays and operas including Hamlet (2009), Macbeth (2010) and Julius Caesar (2012). For more than twenty years Illuminations has been committed to developing pioneering combinations of broadcasting and networked media, including the integration of television with 3D social spaces. This work was taken forward in the long-term collaborative research projects eRENA (1997-2000) and NM2 (2004-2007), in both of which Illuminations partnered with BT and other research organisations. 2-IMMERSE will extend these previous investigations but more importantly it will help ensure that Illuminations remains creatively distinctive and commercially competitive in the rapidly developing field of broadcast and streamed live performance. Illuminations is developing an extensive slate of performance projects with the Royal Shakespeare Company and with the BBC and Sky Arts. 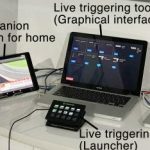 The prototypes and knowledge developed within 2-IMMERSE will be directly applicable to the roll-out of and engagement with these performance broadcasts for domestic audiences and for both teachers and learners in schools, colleges and other educational contexts. IRT is an SME specialised in audio-visual media technologies. Created as a non-profit organisation, IRT is dedicated to technical research and development for the benefit of the public. Founded in 1956, it is jointly owned by the Public Service Broadcasters of Germany, Austria and Switzerland). IRT sees its role as that of a technical advisor to broadcasters as well as a consulting body for industry. The institute collaborates with numerous commercial companies, various research organisations and universities in the broadcasting, media, communications engineering and IT sectors. IRT is committed to preserving public broadcasting in Europe and beyond. This commitment also extends to new markets, upcoming technologies and emerging requirements. The institution’s extensive experience enables it to provide its associates and clients with reliable and knowledgeable service, by performing fundamental research, by developing new broadcasting/media technologies and by implementing feasible solutions for regular operation. To achieve its vision, IRT strongly favours open technical standards and horizontal system markets. Consequently, IRT is an active contributor to standardisation bodies and initiatives. IRT has been one of the main drivers behind HbbTV since its inception, and brings into the project its extensive experience in this field, contributing to the technical specification and testing groups. It will lead the standardisation-related activities, ensuring that partners follow a joint strategy towards using standards and in potential contributions to standardisation groups or bodies. Cisco designs, manufactures and sells Internet protocol (IP) and other products related to the communications and information technology industry worldwide. The company also offers set-top boxes, cable modem termination systems, hybrid fiber coaxial access network products, quadrature amplitude modulation products, and cable modems; and video software and solutions. In addition, it provides collaboration products comprising IP phones, call centre and messaging products, unified communications infrastructure products, and Web-based collaboration toosls, as well as telepresence systems and security products. Cisco has, both through its existing business and the acquisition of NDS in 2012, a strong business in the field of TV platforms and is a leading supplier of set top boxes middleware and head-end systems to major broadcasters throughout the world. Furthermore, Cisco is at the forefront of IPTV and the development of the cloud hosted TV services which we believe to be at the heart of the realisation of the vision of this project. 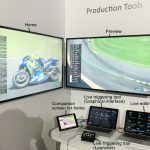 Cisco has previously developed proof of concept (PoC) projects in the area of multiscreen experiences which are highly relevant to 2-IMMERSE (Fresco, FoV, ECHO). 2-IMMERSE will enable the development of a realistic content food chain which will fuel genuine multiscreen and multi-device highly synchronised presentation – presentations that will be applicable in domestic, retail, commercial and public spaces. The orchestration that is implicit in the way that the application utilises a range of content elements across a multiplicity of screens and devices made available by the layout system is a key deliverable from the project and Cisco will subsequently be able to develop and offer layout systems and components. The project is expected to produce input to open standards and open source software which will enable anyone to create content, applications and systems. Cisco sees applicability of the layout and orchestration technology across a wide spectrum of sectors, from domestic TV, to pubs and clubs, to public space TV and retail premises. ChyronHego was formed in April 2013 through the merger of the two companies Chyron and Hego. Both companies were already international organisations that had each been in existence for over 45 years and considered world leaders in the fields of live TV graphics and workflows, computer vision and video analysis techniques applied to virtual graphics and object tracking, as well as sports data collection, management and delivery. 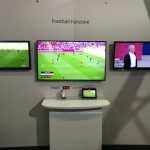 Much of the company’s 40 years’ experience has been forged in delivering technology solutions for football on tens of thousands of matches, having gained an intimate knowledge of how the game is broadcast and the editorial storylines that are created and enhanced through its data and visualisation technologies. It also understands the practical nature of how technology is deployed in the challenging environments of match environments. 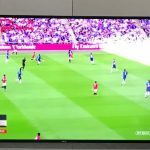 ChyronHego is also the world’s leading company in capturing, analysing and visualizing live data from many thousands of football matches across the globe, spanning 4 decades. ChyronHego brings vast experience in transitioning new technologies from research labs to the commercial and practical realities of the market. As an innovation-led company ChyronHego brings a an important perspective to how new technologies can be deployed in a viable manner and optimised efficiently so they can become more pervasively used. ChyronHego brings a number of key strengths to the project team, including its extensive expertise in solutions combining live data, live video, live graphics on a wide range of media platforms; creating interactive and intuitive media solutions based on real-time content; and delivering technology services to many major broadcast and sports organisations across the globe.